Lightgreen under construction template is a fluid template. It is suitable for creating coming soon pages. This template can also used as a landing page to get some subscribers before your project launch. LightGreen is coming with a countdown feature. It will help to give a message to readers about the launch. There is some more advanced features available with this template. 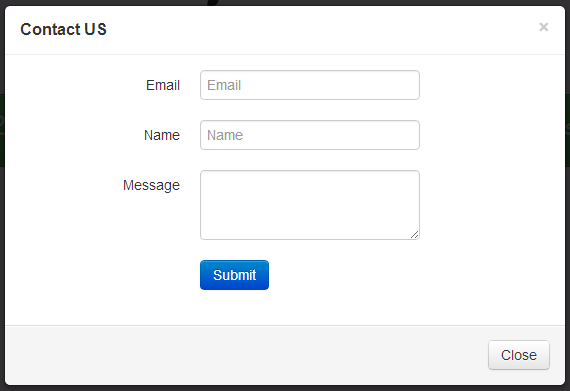 Email sign-up form can easily embed to this template so we can easily get some subscribers before the launch. Right now we are using mailchimp email sign-up form for testing purposes. Lightbox plugin added with this under construction template to showcase our latest projects as portfolio. We are using jQuery Countdown plugin to add a counting feature, which will help to let the visitors about the launch of your project. Now read how we can easily set the countdown using this plugin. Just above tag search for this code. Search for above code inside template and change the date where it showing “austDay = new Date(‘November 25, 2013 00:01:00’);”. jQuery Tweet: This template includes an option to display latest tweet from your twitter profile. For that we are making use jQuery Tweet plugin. Right now we are displaying latest tweet from Skyafar. You can change your twitter user name and number of tweets by making small change in above mentioned script which is already included with the theme. We included lightbox 2, if you need to showcase your recent projects or portfolio works. Find this in (template start Project images(lightbox)) and replace thumbnail images and project images with your own images. Make sure that you uploaded all those images to folder images/examples/. Images are taken from default lightbox 2 images. Along with twitter bootstrap we also use below mentioned plugins to spice this template. You may need to tweet about this under construction template to download it instantly. 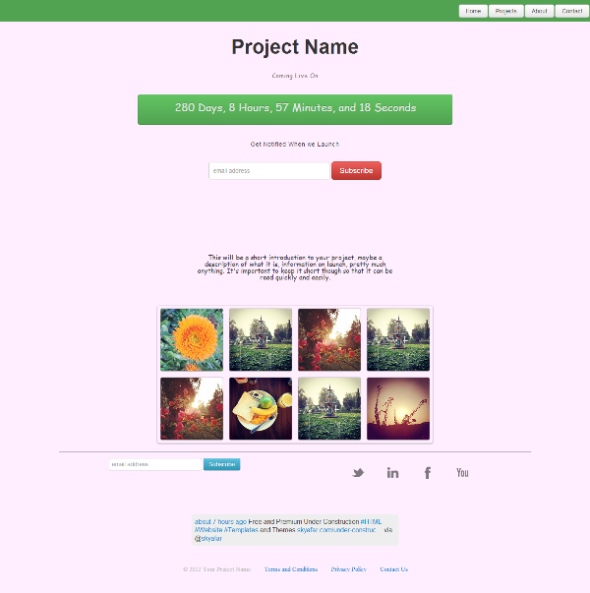 More under construction templates can be found here: Free and Premium Templates. great thanks for sharing a informative post .